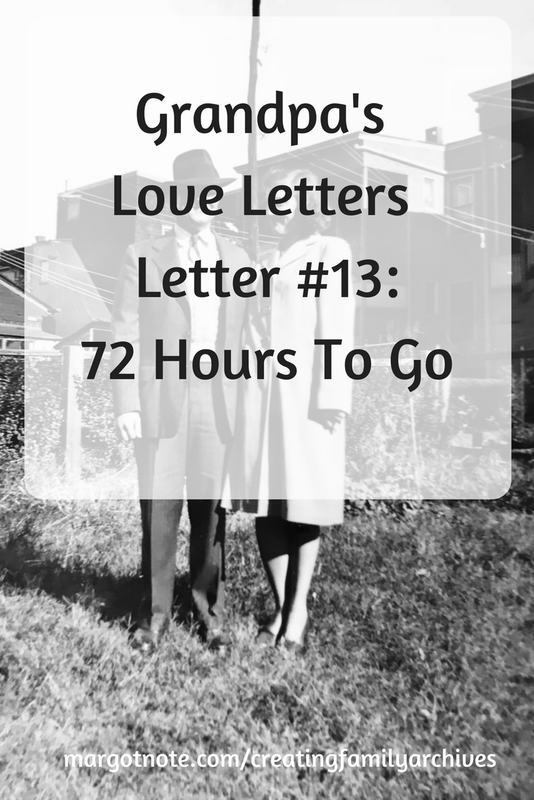 In the 13th letter in the Grandpa's Love Letters series, Grandpa has changed boarding houses. He refers to the "three of us," which I think refers to himself, Otto, and Fred (Otto's cousin). This is another letter about when he'll be returning to Paterson, which depends on the weather. 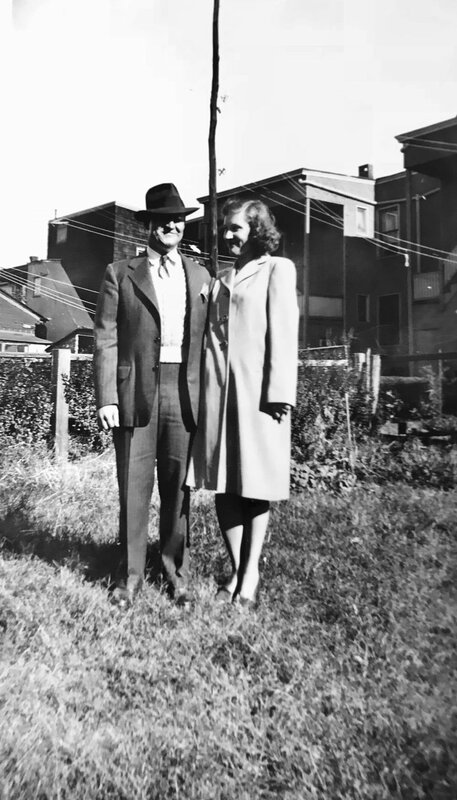 I found this photograph, which dates (I'm assuming) from after my grandparents were married. It looks like they are posed in the backyard in Paterson, NJ. Even though their faces are heavily shadowed, I like that they are both smiling. Grandma is turned towards Grandpa and looking at him, while he looks at the camera. They are in the same location of the photograph in this post, and the photograph seems to have been taken on the same day. Look how different the body language seems to be between both photographs! I have made arrangements to leave here on Friday at about 5.00 clock. I expect to drive down with another man from Paterson who just started working here today. However, if the roads are too bad I may not leave until Saturday morning when I will leave by train. Should I reach Paterson Friday night I will go to your house immediately which should be at about 9.00 at the latest. When I see you Friday or Saturday I'll tell you about the man I intend to come home with. If you look at the return address on the envelope you will notice I have made a change. By the time this letter reaches you I will be living at the new address. The three of us are now going to board in the same house. As ever I am looking forward to being with you again this coming week-end. I sincerely hope I can see you yet on Friday night if only for a few moments. The weather here is still miserable. It snows a few times a day but it melts almost as fast as it falls. I imagine it isn't much better home but that will not stop me froming [sic] enjoying your company. I am counting the hours until I can hold you in my arms again. It is 9.00 PM now so that leaves 72 hours to go but it sounds much shorter when I say three days. So until we meet again, God Bless you. P.S. I am more than ever in love with you sweetheart. Ray.